Sid Dillon Lincoln in Crete, NE offers information on the Lincoln Brand. 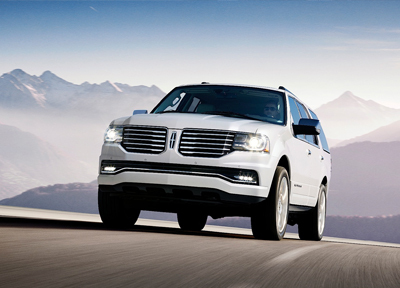 Here is historical and current Lincoln model information for our Lincoln customers. The Lincoln Brand Began in 1917 – President Abraham Lincoln was the namesake. Henry M. Leland first started the Lincoln Motor Company in 1917 when he decided to branch out on his own after leaving Cadillac, which he had helped to co-found. Leland named the brand after late President Abraham Lincoln whom he was a great admirer of. His goal was to create a line of luxury vehicles using the knowledge and experience that he had gained from his previous ventures, time spent in the automotive industry, and his background in engineering. When Lincoln was first founded its initial purpose was to supply the Army with Liberty aircraft engines during WWI. Once the war ended, however, Leland teamed up with his son Wilfred and began producing automobiles. Unfortunately, they experienced a number of setbacks that were caused by design issues in their factory which led to major financial troubles. Leland was forced to declare bankruptcy and proceeded to sell his company to Ford for $8 million in 1922, just five years after originally founding the company. Once Lincoln was in the hands of Ford, however, it began to take off and make a name for itself. The design and production issues that the brand had been experiencing were corrected allowing the first models to officially go into mass production. The revised system made it possible for around 5,000 vehicles to be produced by the end 1922. In 1923, Lincoln production continued to expand with the release of newer body types and redesigned styles created after teaming up with coach builders like Fleetwood and Brunn. As a result, Lincoln began producing larger sedans and even limousines that could transport up to seven passengers. These coach-built vehicles came with a rather high price tag for the time but the high level of luxury that they offered certainly made it worth the price. In fact, at the end of 1923, sales had reached a total of 7,875 units which is 45 percent higher than the previous year. Throughout 1924, Lincoln Motor Company continued to branch out, this time creating a vehicle that was made exclusively for the US Police Departments, the Flyer. This model was offered with a variety of new features that would not be made available on private models until 1926. A few of these features included weapon racks, Police whistles two-wheel disc breaks, and armored windows. The 1930s brought the emergence of a pair of models that were dreamed up by Eugene T. “Bob” Gregorie in order to bring a new level of style and sophistication to the brand. 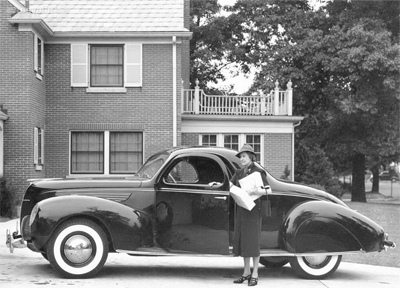 These models included the Zephyr which was released in 1936 and the first-ever Continental which came about in 1938. The Continental originally had a ten year run and it gained such popularity that total sales had exceeded 5,000 units by 1948. Of course, the Continental would not disappear completely as seven years later, in 1955, Lincoln released the Mark II which was a reimagined version of this popular model. The Mark II came with a price of $10,000 which at the time was about the equivalent of a Rolls Royce. By 1998 Lincoln had become the best sold luxury car brand in the US thanks to the release of new vehicles including the Navigator and the Town Car. For the next few years, the ownership of the brand temporarily changed hands making Lincoln part of the Premiere Automotive Group until Ford regained control in 2002. Today, nearly 100 years after the brand was first founded, Lincoln Motor Company continues to hold its place amongst luxury brands as keeps evolving its design with the release of newer and more high-end models such as the MKZ and MKX. The past couple of years have also seen the return of Continental and the launch of the Lincoln Black Label which brings the high-end luxury experience of the brand into a more full-integrated level.